A fellow travel blogger friend messaged me a few weeks back asking if I still have the photos I took from the Manggad Kang Antique Heritage Tour we both attended a year ago. Definitely, I replied. Would you mind if I take a look at some people shots, Travel 3Sixty, AirAsia’s own inflight magazine is looking for a few, she quickly reverted. No problem, I told her. I sent her the photos and promptly forgot about it. A few days ago, I was browsing through Instagram when I saw Gael Hilotin’s Antique article has now been published. 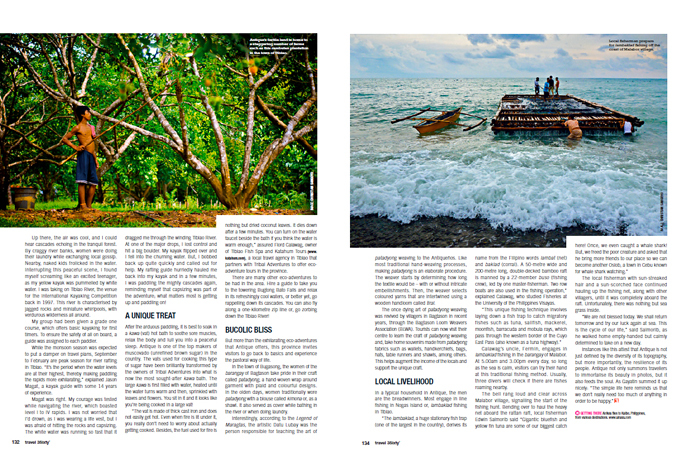 I messaged her, and indeed, a few of my photos along with travel blogger extraordinaire Marcos Caratao made it into the magazine. 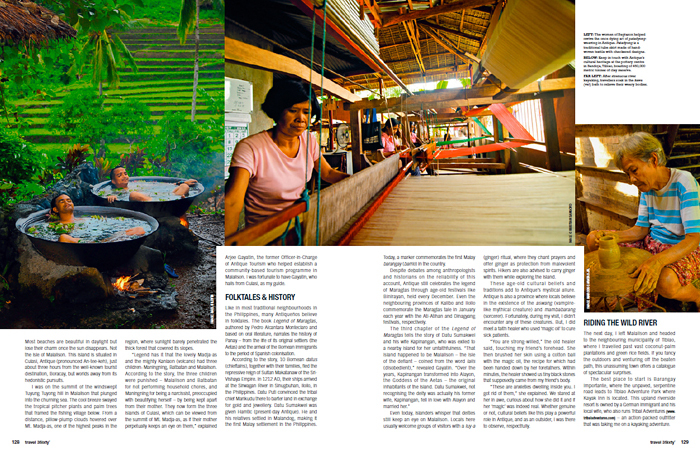 My photos from Bugasong’s Patadyong Weavers, Tibiao’s Rambutan Farm, Clay Pottery and Lambaklad Fishing were printed along with Marcos’ much more dramatic photos of Antique’s White Water Kayaking and Malalison Island, which made it as a wonderful spread. 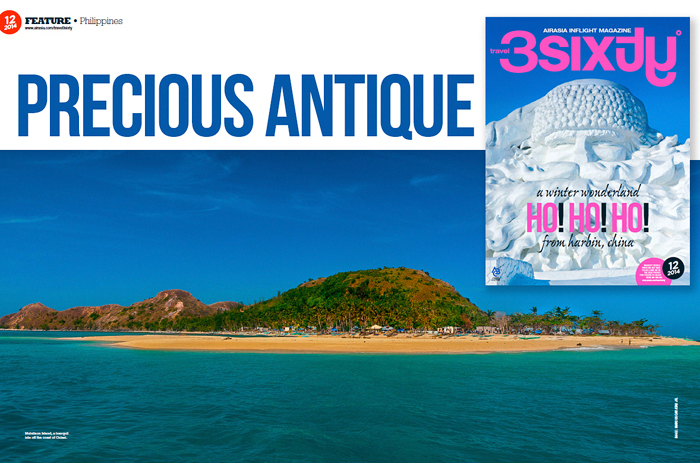 Travel 3sixty° magazine is available at all AirAsia’s plane cabins but are not offered on bookstores. If you have any upcoming flights with AirAsia, can you do me a favor and grab a copy or two for me please? Congratulations christian for your winning photos. I know getting published is a fulfillment in itself but do they also compensate financially these publications?